We just wanted to let all of you know that the baby's heartbeat sounded GREAT Friday. 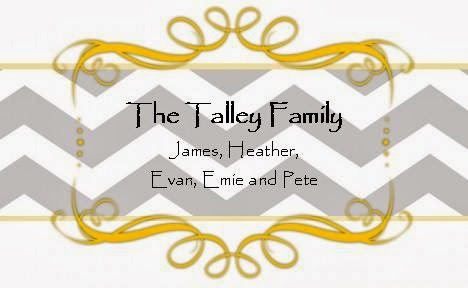 It was beating at a rate of 142...I think that means we may be welcoming another Talley male to the family! All of my blood work came back normal with the exception of my iron which was a little low. They are placing me on an iron tablet to help with that. Thank you all for your continued prayers. We will try to update and keep you posted as the baby progresses. As of last Wednesday, the baby was approximately 4 oz. already and dancing around like crazy in my belly. Please continue to pray for us since I am still not driving because of the seizure in February.